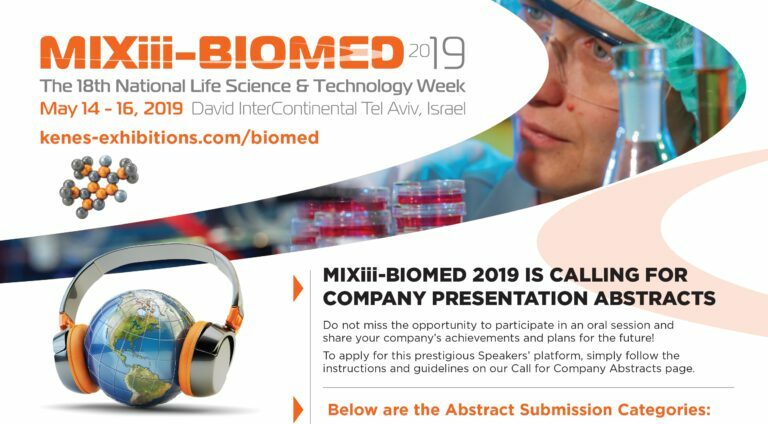 It is with great pleasure and pride that we invite our old and new friends to attend the MIXiii Biomed 17th National Life Science & Technology Week. 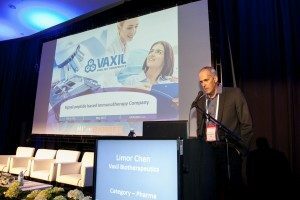 Following in the footsteps of our previous successful Biomed events, you once again have the invaluable opportunity to showcase your company, join discussions, panels, product demonstrations and networking for new business cooperation. Be a trend-setter and stay in the forefront of developments in the field of Biomed. 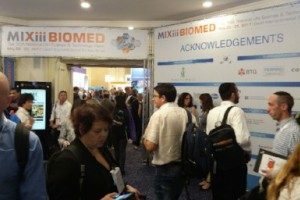 Register to the MIXiii-Biomed 2018 Conference and Exhibition before May 1, 2018 and save money with the Early Bird registration rate. Fees will be increased from May 2, 2018. 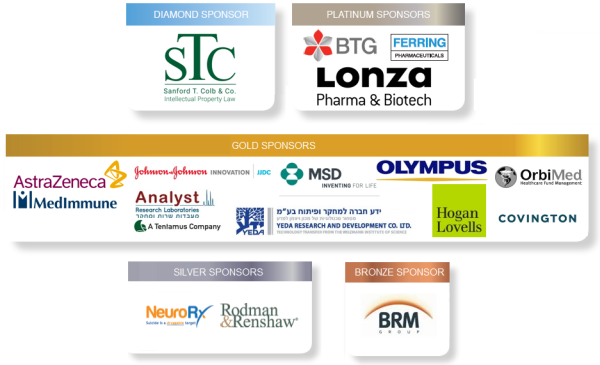 Please, note, entrance to Biomed 2018 Exhibition & Conference, as well as the Networking area and Satellite events, is by payment only. The abstract submission system is open. We invite you to submit your company presentation abstract to one of the track categories in the conference program for this year. 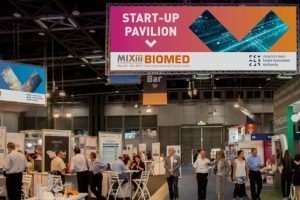 MIXiii-Biomed and Israel Innovation Authority are once again ready to provide the platform for early-stage start-ups to realize their potential in the local and international markets. Endless opportunities to boost your visibility by sponsoring Satellite Events, Social Gatherings, and more. Tailor-made sponsorship packages available on request. 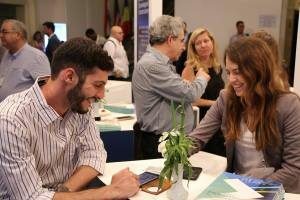 Our unique B2B online networking platform enables the pre-setting and management of meetings with colleagues around the world. The best method of generating new business.